I have always been a fan of MAC Studio Fix Powder Foundation. It gives nice even coverage that stays matte, but doesn't make your face look cakey thanks to the velvet texture. Its long wearing, doesn't oxidize on me and still lets some of my natural skin shine through. I've gone through more compacts than I can count (thanks for all the "free" lipsticks MAC) but, at $27.00 I started thinking there has to be an alternative. I am a newish convert to NYX. I've gotten a few products in various beauty boxes/bags and the quality has impressed me. ULTA always seems to have NYX products BOGO 50% so I've be able to try/experiment with the brand and find what works and doesn't. While looking for a setting powder from the brand I stumbled upon NYX stay matte but not flat powder foundation and swatched a bit on my hand (thanks for the testers ULTA.) The coverage was great and the texture felt silky, similar to the MAC Studio Fix. I've worn stay matte but not flat for around a week and I definitely think it compares. It last all day, keeps me shine free, doesn't oxidize has no scent, and goes on effortlessly. The only issue I have is that it seems a little heavier and does leave me cakey if I use a heavy hand. After a mist of rosewater it knocks the powder down and makes for a great base. Great tip -----> to choose a foundation with coverage swatch a bit on the back of your wrist and see if it covers the blue veins and blend in to your skintone. This is easier than using your neck/ face where you already have some foundation applied! 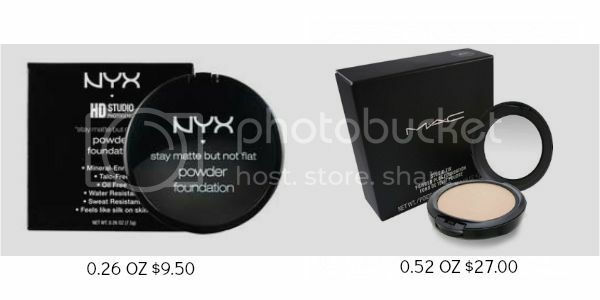 At first glance the NYX foundation is a great savings, but in reality you are only saving a little over $8.00 choosing NYX over MAC. I still felt it was a budget maker because NYX often goes on sale and you can use coupons on top of the sale. If you try this foundation out I would love to hear about it! Any budget makers of your own? 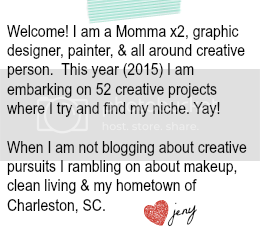 I really love these posts -- please keep them coming. $8 is $8!!! And yes, ulta coupons help too! Where do you by your NYX? I get mine at Ulta, but was wondering if you get it elsewhere. I use their blonde eyebrow pencil and LOVE it!! I stock up bc I can't leave the house without using it haha!